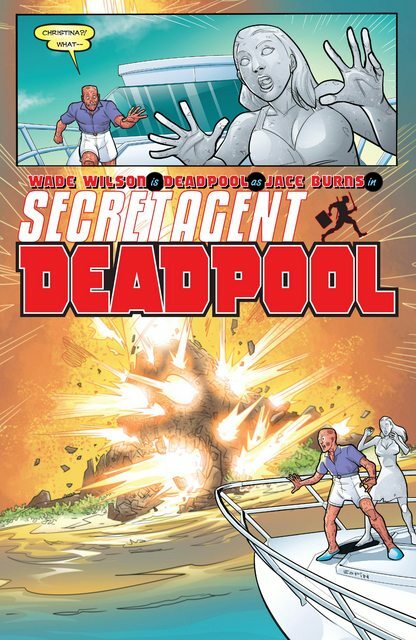 From Secret Agent Deadpool #2: Deadpool's fling is mysteriously turned to stone. Love the expression, albeit the comical tone to Deadpool. I will admit this is the first time a transforming Aston Martin yacht-car outshines the statue, though. Its not showed why she become statue? No, but I'm hoping we find out in the next issue. 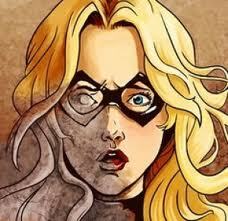 Deadpool's girlfriends do have a knack of being petrified all the time lol. Deadpool finally meets up with the Gorgon Society. He is briefly petrified before his healing factor restores him to normal.